I decided to write some kind of introduction or “first blog post” article a bit later, because I wanted finally start and to create something really useful for visitors of my blog, something they can use to build or develop their English vocabulary on particular topic. Here it is. Today I picked up “Travel” as a topic. I started form several questions I found on other websites. There a lot of useful and not boring resources that can be used as a source of vocabulary we can borrow from native speakers. Read articles, listen podcasts and watch videos I found. Common questions from Part1,2 and 3 of speaking test. Collocations, words and phrases that will help you to talk about food and diet. How other people tell stories related to travel and visiting other countries. Links to useful materials which you can use to read articles, listen podcasts and watch video about travelling, transportation, popular travel activities. 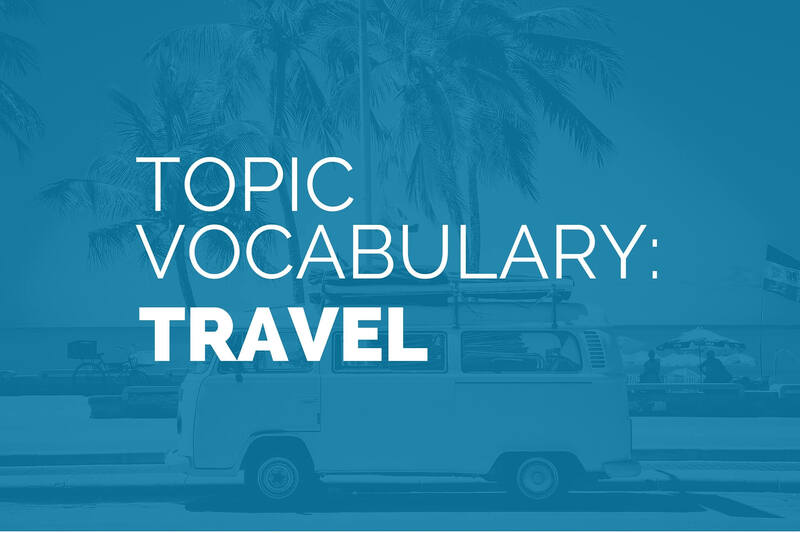 Vocabulary from sub-topics and related areas such as: destinations, types of travel (family travel, cruising, outdoor adventures, adventure traveling, cultural travel), transportation. What kind of places have you visited in your life? Which place would you really like to visit? Why? Which form(s) of transport do you usually use? What is the easiest way to get around your town/city? Do people use public transport where you live? Are there any problems with the public transport system in your town/city? How do you prefer to travel on long journeys? What is the most unusual method of transport you’ve ever used? Describe an interesting journey you have been on. and explain what was so memorable about the journey. Has travel become safer in recent years? What are the pros and cons of low-cost air travel? How do you think people will travel in the future? I went to podcasts->genre->travel and found 4 podcasts on this topic. Check out this inspirational vide I found on TED Learn to Travel: Travel to Learn: Robin Esrock at TEDxVancouver and use some of this vocabulary when you’ll be speaking about traveling. To help you with the first one I’ve got a downloadable PDF. It has all the words and phrases from this article. As for practice, you are 100% responsible for this part. Nobody can practice instead for you. Just take some of the questions you found on certain topic and practice each day.